I’m excited to share with you some new products designed to help kids to learn their letters, numbers, shapes, and mathematical symbols. My kids and I have been enjoying our new wipe clean activity cards for learning and have found several fun, new ways to learn through play. 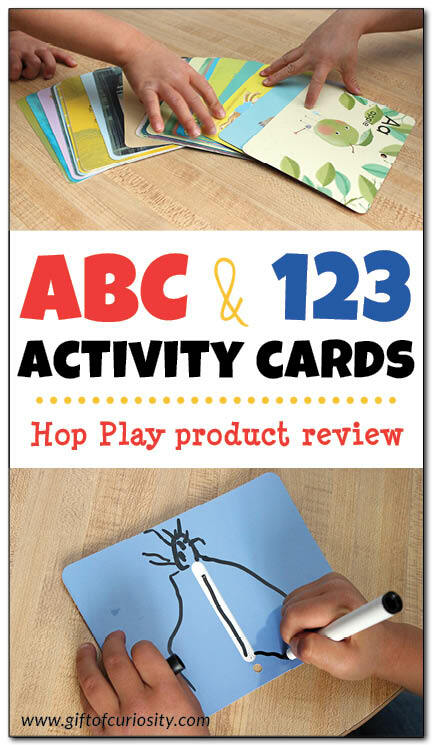 Hop Play sent me a set of their Alphabet Wipe Clean Activity Cards and a set of their Math Wipe Clean Activity Cards to use with my children for this review. I was not required to write a positive review, and all opinions are my own. The Hop Play Alphabet and Math Wipe Clean Activity Cards are different from other learning tools we’ve used in a few key ways. The first is that these cards come with a wipeable marker. The marker writes easily on the slick surface of the cards and the attached eraser quickly and easily cleans the marks when kids are done. 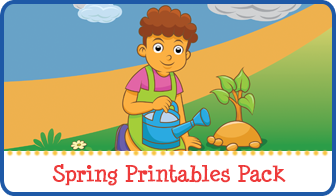 Another unique aspect of the Hop Play Alphabet and Math Wipe Clean Activity Cards was the large number of suggested activities for using the cards for learning. I have been involved with early childhood learning for quite some time, but even so several of the suggested activities were new to me. 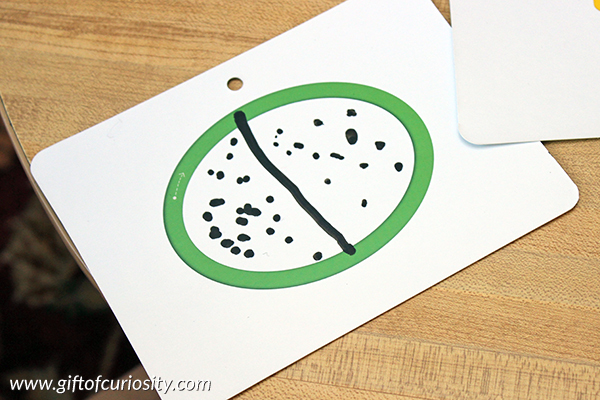 The Alphabet Wipe Clean Activity Cards are double sided, and both sides can be written on using the included marker. All 26 letters of the alphabet are included. One side of each card features nothing more than a lowercase version of the letter with arrows to show kids the proper way to write it. 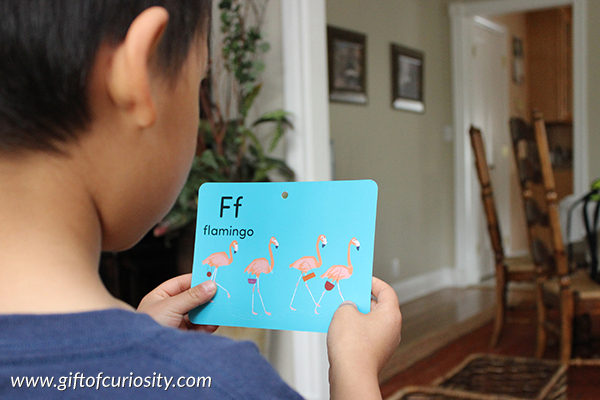 The other side contains a capital and lowercase version of the letter in the upper left corner, a word beginning with the letter sound, and a picture of the word (e.g., flamingo for ‘F’). 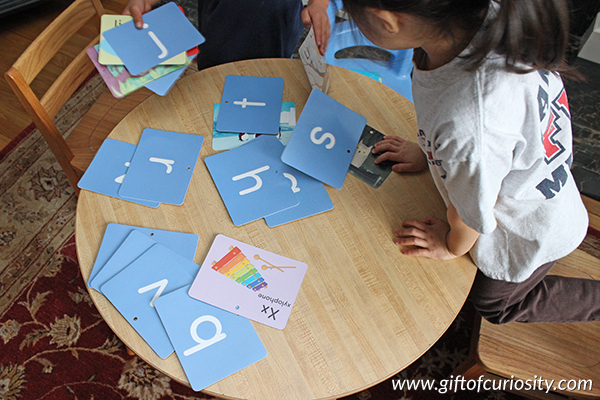 So far we have used the Alphabet Wipe Clean Activity Cards to play several different games. For one alphabet game, my kids randomly selected a card from the deck and then had to find an object in our home beginning with the letter they selected. 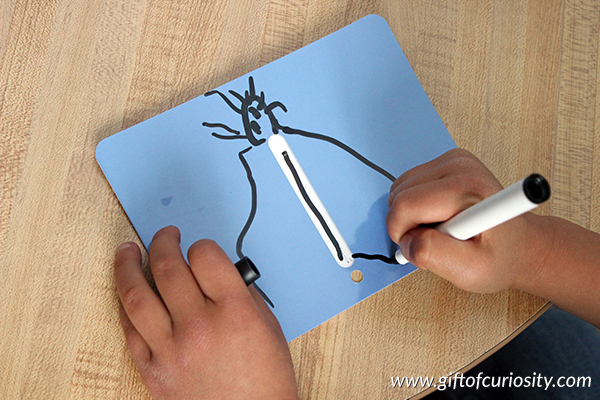 One of the suggested activities is to use the wipeable markers to turn the letters into different objects. 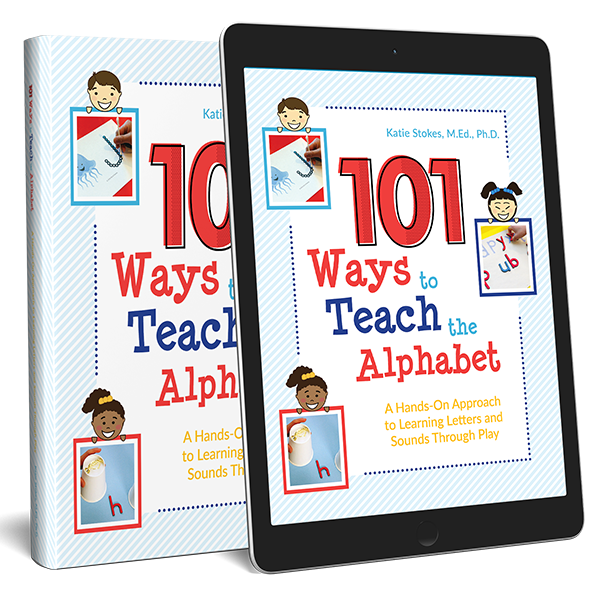 This is a great way to have fun with letters while also working to familiarize kids with the alphabet. XGirl decided to turn this ‘l’ into a stick figure of me. And this ‘m’ became an insect. XGirl has been working on putting letters into alphabetical order. To help her practice this skill, I spread all the letter cards on a table and had her put them back into alphabetical order. If she was ever unsure about the sound a letter makes, she simply turned it over to look at the picture, which helped her identify the letter sounds. 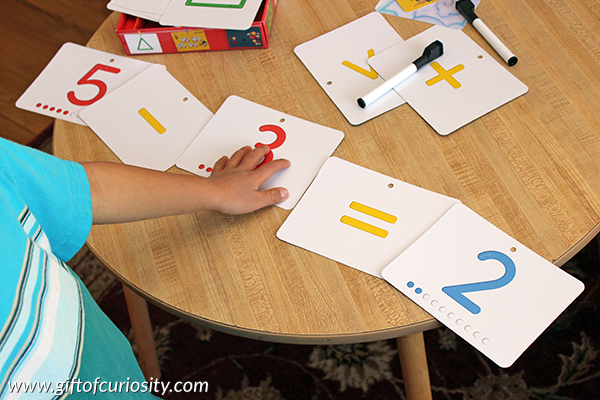 Like the Alphabet Wipe Clean Activity Cards, the Math Wipe Clean Activity Cards are double sided, and both sides can be written on using the included marker. The Math Wipe Clean Activity Cards include cards for numbers 0-12, six different shapes (circle, square, triangle, rectangle, rhombus, and an ellipse that is mistakenly identified as an oval), and five mathematical symbols (+, -, =, <, >). One side of the cards includes the number/shape/symbol with arrows showing how to write it. The number cards also include dots on the bottom equal to the number on the card. The image side of the number cards include pictures illustrating the number (e.g., ten flying geese on the 10 card). The image side of the shape cards includes pictures featuring the image (e.g., square windows in a house on the square card). The image side of the mathematical symbols cards use images to illustrate the symbol. My kids already know their numbers and shapes, but we have still been able to use the Math Wipe Clean Activity Cards to work on several skills. For example, XGirl worked on fractions using the shapes cards. I asked her to divide the shapes in half, as she did by turning this ellipse into a sliced pizza. I used the number and mathematical symbols cards to teach QBoy a lesson on less than and greater than. I placed two numbers in front of him and asked him to put the correct symbol between the numbers. QBoy and I also used the cards to make mathematical equations. I created an equation, leaving out one of the numbers. He had to figure out what the missing number was and supply it to complete the equation. Then I had him read the entire equation to me to practice his math vocabulary. The cards are made of good quality materials. 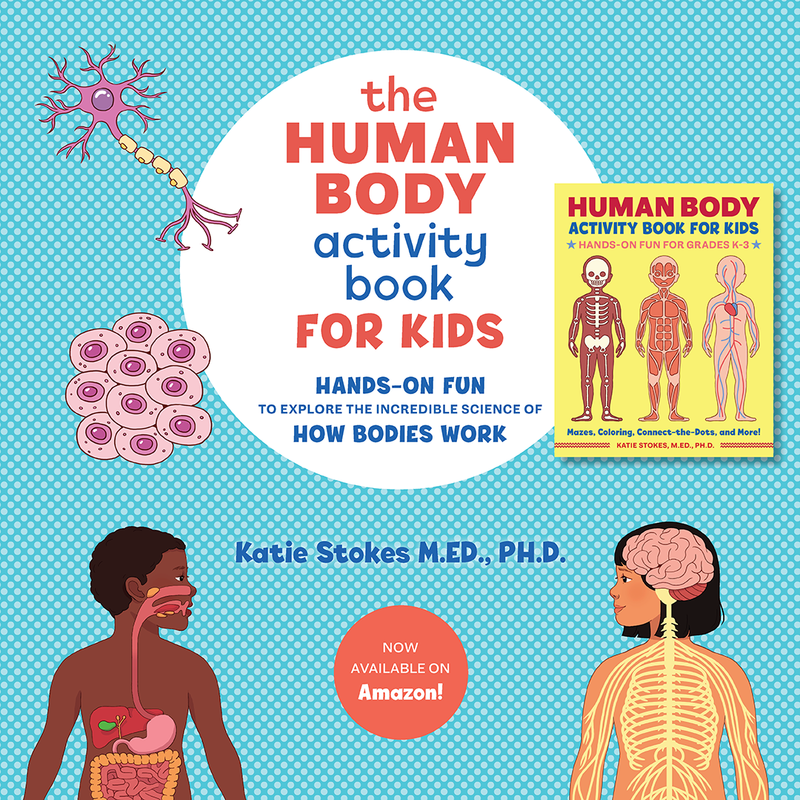 The pictures are bright, colorful, and fun for kids. The marker writes easily on the cards and – perhaps more importantly – cleans easily too. The cards come with a ring through the hole punched in the top. This is a nice feature that makes the cards quite easy to keep together and/or to take to other places. 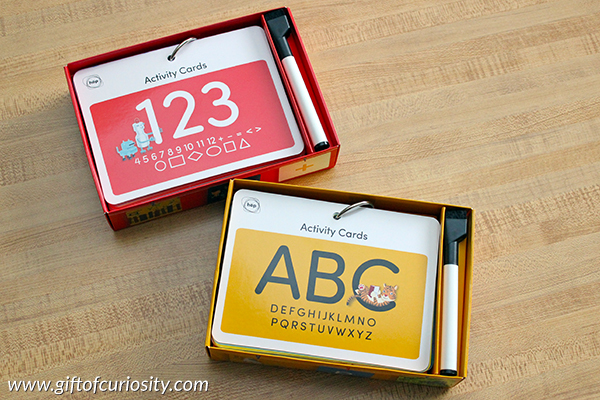 The cards come with a list of over 20 different activities and games for using the cards to help kids learn. 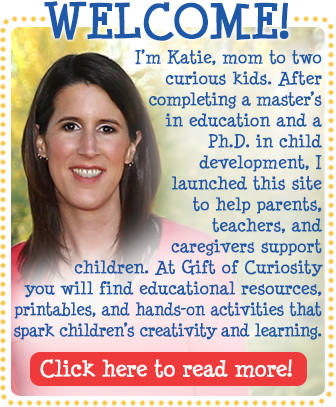 The suggested games are fun and will appeal to kids at a variety of developmental stages. There were, however, a couple of changes that would make the cards even better. The pictures representing several of the letters on the ABC cards did not start with the appropriate sound. For example, sheep was used on the ‘s’ card, but sheep starts with the /sh/ sound rather than the /s/ sound. 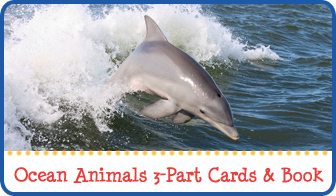 Several other cards also had pictures that did not match the letters sound, including cheetah on the ‘c’ card, giraffe on the ‘g’ card, owl on the ‘o’ card, and urchin on the ‘u’ card. 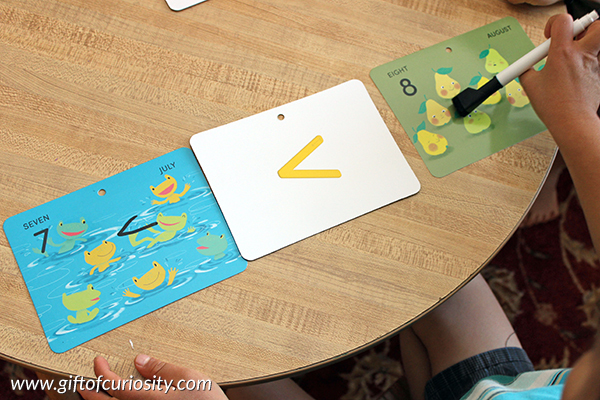 These issues limit the usefulness of the cards for teaching letter sounds. However, when I mentioned this issue to Hop Play they indicated that they would consider revising the cards for a future edition. For the number cards, I would have preferred a different font for the numbers in which the 4 is written with both upper posts going straight up rather than the left post tilting in toward the right. But this is, in my opinion, a minor concern. The number cards include the name of the number written out in uppercase letters, but I would have preferred for the name to be written in lowercase letters instead. 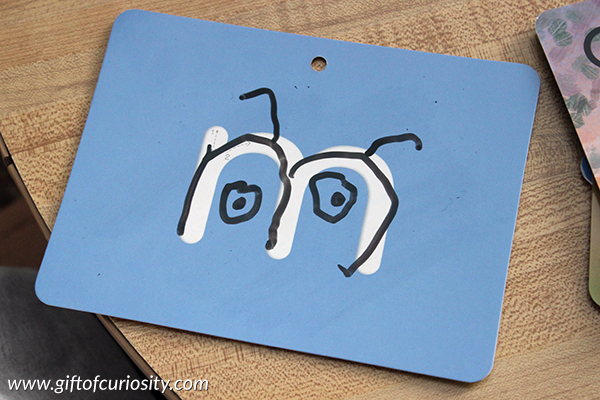 Finally, the shape cards included an ellipse, but it was mistakenly identified as an oval. (The ends of an ellipse are the same size while the ends of an oval are different sizes.) That being said, I have seen many curriculums teach kids to call the ellipse an oval, so this issue is not unique to this product. In fact, until a few years ago, I didn’t know the difference between an oval and an ellipse myself!